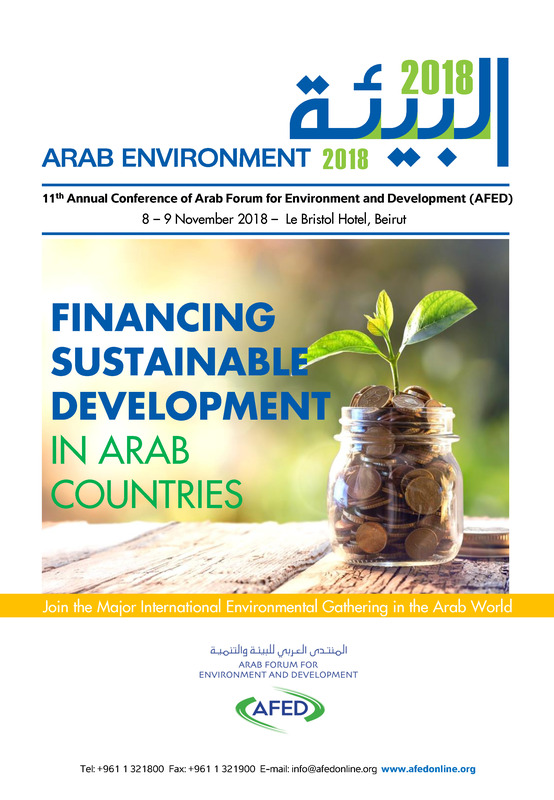 On 8-9 November 2018, the Arab Forum for Environment and Development (AFED) is holding its annual conference on the theme of "Financing Sustainable Development in Arab Countries" in Beirut, Lebanon. The 11th annual report in the AFED series on the state of Arab environment will be released at the conference. It identifies funding needs, gaps and challenges, and offers the best options and mechanisms to attract and use funding effectively and efficiently. It also provides an overiew of the sources of funding available and their respective roles in helping to implement sustainable development goals, as defined by the United Nations in the context of the 2030 Agenda. The Mediterranean Center for Sustainable Consumption and Production in Barcelona will organize a special session, that will present successful experiences of financing small and medium-sized development projects in the region. Alongside over 30 ministers and heads of international and regional organizations, the conference will host leaders from the private sector, banks, research centers and civil society. It also hosts 40 students from Arab universities, who are members of AFED Future Environmental Leaders Forum (FELF).